“By faith the walls of Jericho fell down after they had been encircled for seven days” This is what the bible says in Hebrews 11:30. Now I ask: Have the walls of your Jericho fell down after been encircled for how long? In the bible says seven days, but for many of us this could be a great deal longer. 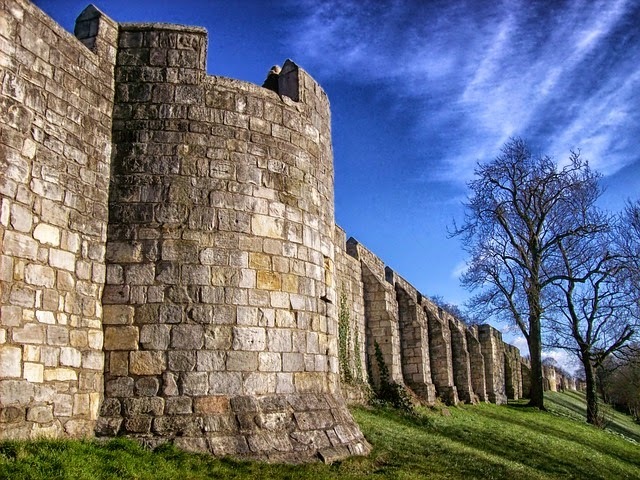 What are the walls of Jericho you have built around yourself? I had made a real dense and high wall with negative emotions, I didn’t even know some were still there until I recognize it was really difficult for me to reach my Jericho. What do I have in mind by saying my Jericho? Well, I mean your dreams, your desires, the consciousness which allows you to get what it belongs to you by Divine Right and that you have been resisting because of the density of the walls you constructed with your fears. Your cares and doubts are keeping you away from your good that is for sure, just as anyone else who has dreamed of a different life and this has not happened yet is because has a lack of faith and without faith no one can experience God or in this case no one can experience the entrance to their own Jericho. Why the struggle in reaching your Jericho? The struggle is because you pay more attention to what the Ego is constantly shouting out envy, resentment, anger, bitterness and so on. I have watched myself in the past (and still sometimes now) and I used to live in the darkness, questioning myself how do I fulfill my dreams? And getting frustrated because I couldn’t. Blaming everything and everyone outside myself for my failures (Sounds familiar?) I am not very keen to read the bible, even though I know is a great book full of knowledge, possibly it is because I have this love-hate relationship with the Catholic church. Whether you like it or not, the only choice, the only way to make the walls of your Jericho crumble is by faith! Yes, faith that whatever you ask for, it will be yours. Never forget the Universe does not know about jokes, w-h-a-t-e-v-e-r means exactly that good or bad it will be yours if you asked for it. The walls of your Jericho can be taken down if you shout out your negativity, by quitting the role of victim and being victorious, by having faith that there is a Power within yourself waiting to be awakened, make your trumpet sound out loud and watch the walls tumbled down!